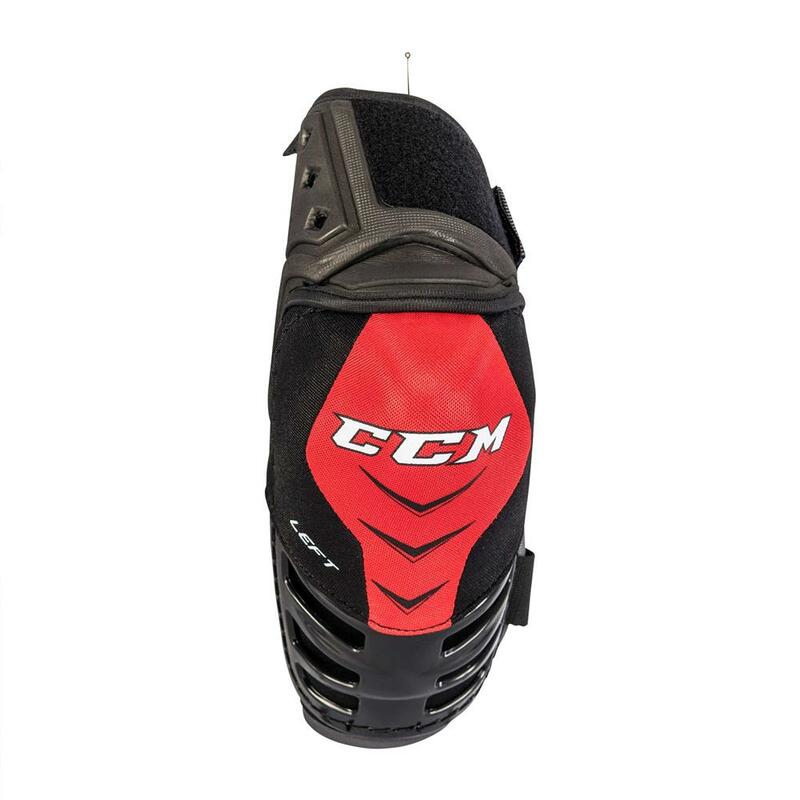 CCM Quicklite Vibe “Exclusive” Junior Elbow Pad | Sports Etc. CAPS Lightweight molded PE. Deep secure fit for impact protection. ELBOW BED Segmented floating comfort base. Landing zone to secure the fit of the elbow. FOREARM Lightweight molded PE protection. Low profile slash protection. ATTACHMENT 3 strap system. Fully customizable fit. 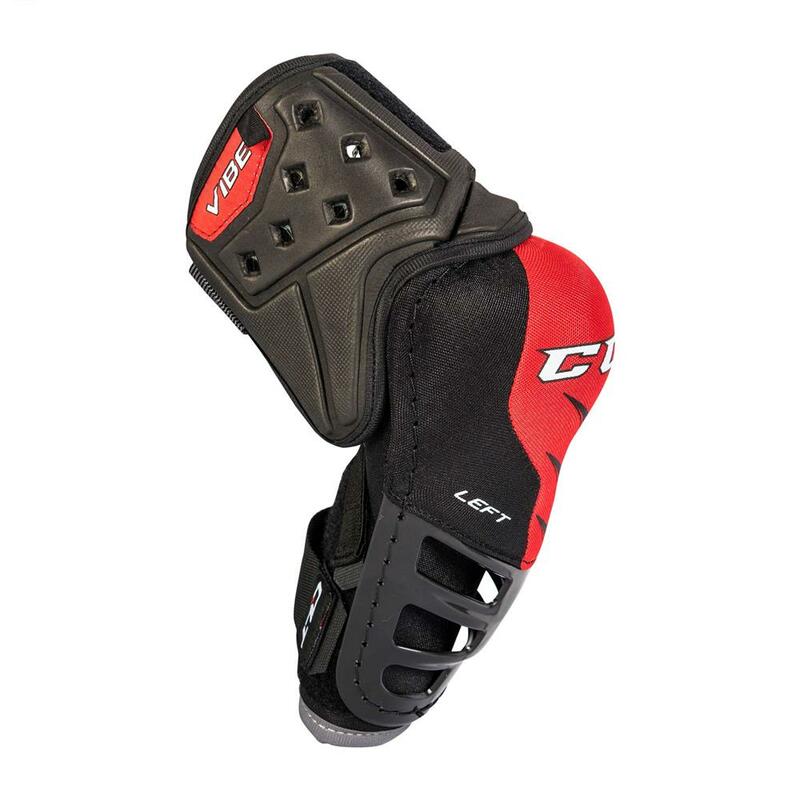 The CCM Vibe elbow pad is a Sports Etc exclusive, which is straight from the Quicklite protection line. 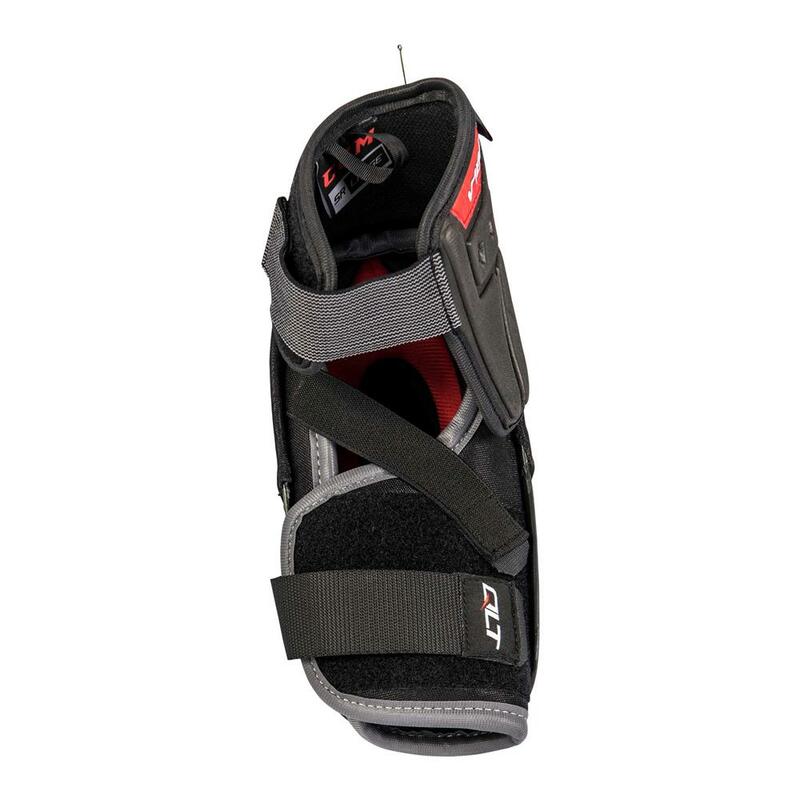 Low profile slash protection with exposed foam covering eliminates bulkiness and improves mobility. Lightweight, 3-strap system for fully customizable fit.